This Into the Dead specific Mission will become available once you unlock the Chainsaw weapon at early Levels. Your first encounter will be at Mission - Level 6 where you are required to kill 1 Zombie while in mid-air. To better understand how to do this trick, refer to the guide and pics below to learn more! - Get a Chainsaw from Weapon Crates. 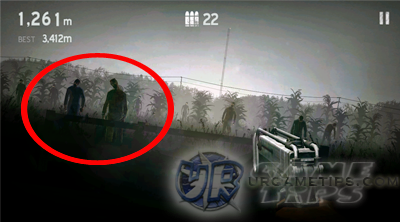 quickly locate a zombie standing next to the Fence then run towards it. 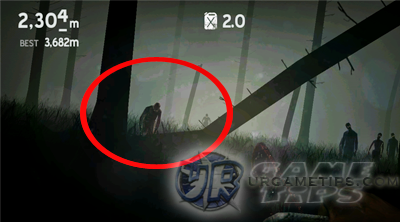 - Jump over the Fence and whack all zombies while in mid-air, before you land! reach the Forest, you can find 2 or 3 Fallen Trees at the left side area. also count as long that you are in mid-air. Good Luck!